Read this article for the "no brainer" of the day. Do we really need a survey to know this?! I think not! What I find interesting about what the article has to say however, is that this is the first drop in 5 years, which I would have suspected to be on a steady decline over the last few years. I guess the 27% increase in gas prices over the last year (despite steady fuel economy at 21 mpg) that the article reports were the straw that broke the camel's back. More proof that it's time to go Local! Today we were having a discussion about engineering goals and platforms as we navigate through the prototyping process through to production. During the discussion I began to think of the previous night when I was in the gym and on the TV was one of these game shows involving a tricky obstacle course, almost all of which inevitably have a portion where the contestant must cross a body of water by jumping from podium to podium, some of which aren't solidly mounted. The people that keep only the end goal in mind and rush through the course mostly seem to lose balance and fall into the water. The people that dwell on the short term (making it to that first podium or two) and freeze up take too long to get to the end, or step a bit too long on that podium that isn't solid and fall into the water. And then there are those that find the right balance between the two and even when they step on the fake podium, they can quickly jump to the next to make it across. Sometimes as engineers, we tend to focus on the other side of the water and lose sight of the small steps necessary to get there or the other ancillary paths that may help us reach the end sooner, or without having to swim across. Other times, we become fixated on the task at hand and forget that we have a destination and a certain time to do it in. When we're most successful, it is because of a hybrid state of mind. This "obstacle course" approach is what we will have to take when it comes to both our engine platform and the overall goal of building our prototype in order for us to be successful. The main thing that allows us to stay out of the water and to cross in a timely fashion is that we're doing this as a team. A team that can look at the course and see the other paths when one of us is focused on only one. A team that can alert us of the false steps or how to jump to the next when we do (and we will at times) choose the wrong step. ...and having trouble finding it. I'm not referring to the team here at Local Motors, but who else? The Big Three. An article on The Detroit News' website details the search for young engineering talent to help US automakers compete with their Asian and European counterparts. It's no secret that this is no longer the auto industry of our parents, and this article explains the dire need the Big Three are in and the lengths they are going to to gain fresh engineering insight - even going as far as marketing engineering positions in the auto industry as early as grade school. "Kids are telling us that they're shying away from those companies because they're not sure about the future and they don't want to go through the same thing their parents are going through now." -- Phil Gardner, director of the Collegiate Employment Research Institute at Michigan State University. The most interesting point the author makes however, is in the statement that GM is badly in need of top engineers and likely will be for years to come. I couldn't agree more. This is where small companies like ours have the advantage - the ability to attract innovative engineers and designers to work together in a community eager, passionate for innovative change. In my last post I mentioned the in our visit to Ray Products, we had the opportunity to see both their vacuum and pressure forming processes. For "Engineering Essentials" second installment, I thought it would be fitting to pass on the knowledge we gained there. What follows is a breakdown of both of the processes. Vacuum Forming - the process of heating a 2D piece of plastic and forming the part to the shape of the tool surface using vacuum and atmospheric pressure. 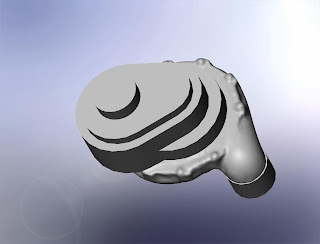 Pressure Forming - when air pressure used as a forming aid to increase the detail of a part by transferring the tool detail to the part's mold surface. Vacuum Forming - When you desire a lightweight but strong part. Ideal for covers and enclosures that would normally be made of sheet metal, wood or fiberglass. Pressure Forming - When detail and appearance are a must. Good alternative to injection molding. Ideal for enclosures, bezels, cosmetic panels etc. Vacuum Forming - Parts can be produced in high volume with highly accurate duplication of original parts. Long tooling life. Single sided tool. No secondary processing such as paint needed since color is in the material. Pressure Forming - Allows high detail for inclusion of logos, text etc. in the part surface. Multiple colors and textures in the same part. Production of deep draft (storage bins etc.) or zero draft parts. In our fourth and final day in the greater Los Angeles area, we had the opportunity to gain some knowledge into composite production using pressure forming and vacuum forming, as well as visit another product development firm. Our day began at Ray Products where President Brian Ray showed us the advantages of using pressure or vacuum forming over such methods as injection molding. Such advantages include low tooling cost (and long tooling life), highly detailed parts with multiple colors and textures within the same part, deep draft parts, zero draft and undercut parts and produce a part that's low weight. All of these features can help us tremendously when used in the right area, so once we have selected our design, we will assess which areas of the vehicle lend themselves to this process. Our next stop was to Planet Plastics. Inside their 43,000 sq. ft. facility, they can accommodate custom parts of only a few inches in size up to a piece of acrylic or polycarbonate up to 7'x12'. A lot of the products they make are dome-shaped parts for such industries as food service, lighting, and movies. We were also fortunate enough to see how they save time in processing the edges of the acrylics by flame polishing the material rather than going through the tedious process of hand sanding and buffing the part. In a matter of seconds, using a torch at high heat, you can pass the flame along the edge of the acrylic and have a finely polished edge with near mirror like finish. This would have come in handy during those late nights at Factory Five getting cars ready for SEMA and various other events sanding and buffing head light lenses, rear hatches for Coupes etc. until my fingers were about to fall off! Our final order of the day was to pay a visit to Javier Valdivieso at ADM Works, another product development firm. 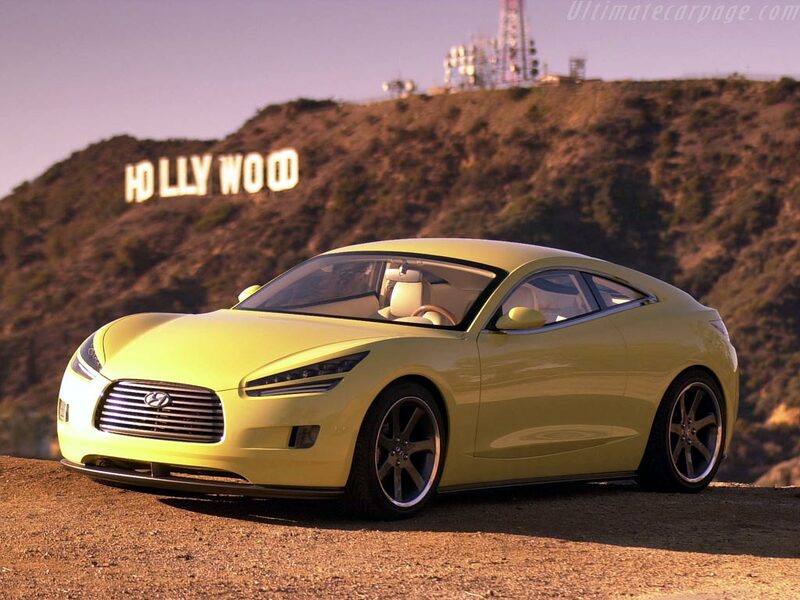 Javier and his team have had great success in the auto, movie and fine art industries. Like Aria and Metalcrafters, they have 3 and 5-axis mills on site to cut anything from a mold of cartoon characters for the movie industry to full scale automobiles, to parts such as wings for aircraft well over 50' long. 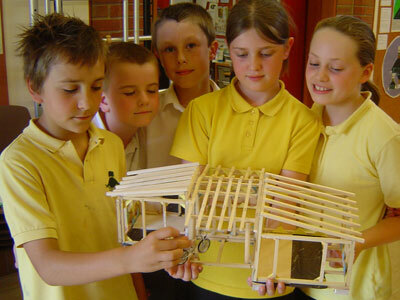 Although we had visited four other product development firms the previous day, it was great to add another potential builder to the list as each offers a different approach to solving the development of vehicle prototypes. Thanks to the assistance of Bob Schureman, who set up the vast majority of the California leg of our trip, we were able to see all of these great places in a short amount of time albeit come away with the knowledge of everything that each of these places have to offer us as we move forward in our development of the first LM vehicle. Last night's post referenced Dale Beever as a designer for the Fisker Karma. 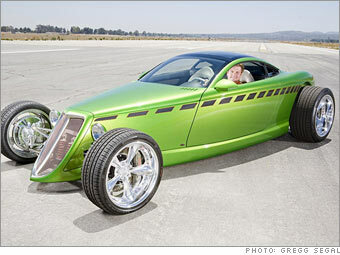 Dale Beever was not a designer for the Fisker Karma. The reference has been removed from last night's post. Day two of the trip west brought us to a wide range of places, starting with a visit to Jon and Patricia Sharp of Nemesis Air Racing. In 1990, Jon and Patricia started Nemesis Air Racing with the development of their first air racer aptly named Nemesis, which is now in the Smithsonian. Since then, the husband-wife team and their small, dedicated team has developed the NXT largely on their own and have delivered 6 kits. The visit to Jon and Patricia was very unique and energizing at the same time. Unique AND energizing because although they are not in business to directly produce product for Local Motors, it was very encouraging to see what such a small team can accomplish with composite layup, lots of hard work and the drive to be successful. Jon and team Nemesis have won 13 Gold Championships and has broken over 16 world speed records. Our second stop of the day was at AC Industries where we met with Andy Shouse, President. This was another unique visit since Andy produces everything from a Porsche Speedster replica to Corvette aftermarket exhaust tips to supply a full line of VW Beetle replacement parts. At first, we weren't quite sure how our visit there would relate to the development of our prototype, but after seeing the capabilities of the exhaust shop (complete with CNC benders, welding etc. ), the tooling and production costs for the Speedster bodies, and the VW parts business, we were able to gain some insight on how small niche manufacturers are meeting the needs of their customers on their needs small and large. Lastly, we visited Terry Price, the Program Chairman of the Composites Training Center at Cerritos College. Here, Terry and his staff train people of all ages - he recently trained a group of 8th grade girls how to make surfboards and has students in their teens and twenties up to the fifties and sixties! This was good to note since we will have a diverse workforce and if we ever need to train our composites staff, we could send them to one of the various seminars that Cerritos offers, especially since the program is designed to train the students for direct placement into the workforce. In conclusion, we didn't quite know what to expect on this second day given the nature of the places we were visiting, but through keeping our eyes, ears and most importantly, our minds open, we were able to learn a great deal. Tonight's post is the antithesis to the posts of the last two nights. I was encouraged to see that one of the major auto makers - Honda - is able to adjust (rather than halt) their production to meet the shift in consumer purchasing trends to a more fuel efficient vehicle from larger SUV's and trucks. The benefit here is obviously that these types of vehicles will be more available, but also that there will be no loss of jobs in the realignment. In fact, Honda will even create thousands more jobs in the process. I do think that this type of shift is easier for a company like Honda in comparison to companies like the Big Three since there is a large focus in American Auto Manufacturing on larger SUV's and trucks in particular. However, this proves the importance of building a sustainable business model around vehicles that will continuously meet consumer buying habits. This is where the competitive advantage will lie for Local Motors as we and our community will be able to quickly and continuously design, engineer and manufacture vehicles that meet buyer desires since we will have our collective finger on the pulse of what drives consumers to purchase certain vehicles. Thus, we will be able to optimize our business to continuously create classics. The word for the day today is "Attrition". 1. a reduction or decrease in numbers, size, or strength: Our club has had a high rate of attrition because so many members have moved away. 2. a wearing down or weakening of resistance, esp. as a result of continuous pressure or harassment: The enemy surrounded the town and conducted a war of attrition. 3. a gradual reduction in work force without firing of personnel, as when workers resign or retire and are not replaced. 4. the act of rubbing against something; friction. 5. a wearing down or away by friction; abrasion. 6. Theology. imperfect contrition. See under contrition (def. 2). I chose this word because it's used in two separate articles I read today by the brass of two of the big three in regards to cutting jobs. Referencing the buy out offer made to 19,000 GM workers, GM President of North America stated, "This attrition program gives us an opportunity to restructure our U.S. work force through the entry-level wage and benefit structure for new hourly employees." I'm sure they'd like to have you believe that their use of the word is purely of the first or even the third definition, but it's very hard not to believe based on current events (see this article and my post from last night) that its derived from the 2nd or even the 4th or 5th definitions. This is just more proof that we have to engineer a more sustainable vehicle. Not only to secure our future as an automaker, but that of those whom we employ and the businesses around us. It's gotta start somewhere, and going local is a good place! Oh and ironically, the official word of the day on dictionary.com is "Tremulous", which many of those that work at GM and Ford are for sure after today's news. By now, I'm sure you've heard GM's announcement of a couple days ago that it plans to close 4 major assembly plants in the US, Canada and Mexico which produce the automakers trucks and SUV's. As a result, the HUMMER brand is being reviewed and will possibly be resold. According to the article on msnbc.com, the affected 10,000 workers will potentially be able to regain employment when the expected 19,000 openings become available later this year due to retirements and buy-outs. My question here is how closely to the positions being dropped match the positions opening. This seems like a way to soften the blow, especially since the company's CEO Rick Wagoner has stated that there is no intent to allocate product to these four plants in the future. My other question would be in regards to the location of the 19,000 openings: how close are the positions to where these 10,000 out of work GM employees AND THEIR FAMILIES live? 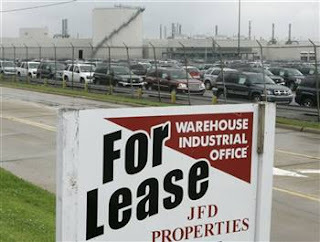 Also on msnbc.com is an article that addresses this point, aptly titled, "GM plant closings rip holes in communities." "On Tuesday, as waitresses mopped tables and filled red plastic glasses with ice, Miller closed her eyes and rolled her head back. 'If the local people don't support us and our food by keeping us here, then I don't know what we'll do,' she said. Gaylen Turner, president of Moraine's local International Union of Electronic Workers-Communications Workers, which represents the plant's workers, said he's not giving up on the plant. 'It's not optimistic, but I plan on staying around and continuing that fight as best I can,' said Turner, who is 53 and has worked at the plant for 28 years." Each of these show the importance of local business and the support from the people within the local community of such business. This is one of the biggest ideals we at LM find just as if not more important to maintain as the shift from dependence on foreign oil because when it comes down to it, sustainability is about people and the earth we live in, not dollars and cents. If you've been following us for years, for months, or even for a few weeks, this ethos isn't news, but I wanted to take the opportunity to comment on the "holes" created by large corporations we are trying to fill.